Captain Bernd and Chef Daniela are eager to welcome you aboard for the vacation of a lifetime! This husband and wife team are both originally from Austria, and Daniela's cooking will definitely tempt you with some fabulous Austrian specialties. Both are originally medical doctors but changed their life for a life on a yacht. Bernd and Daniela are highly experienced and work in the charter business for more than 20 years, they organized sailing events in Croatia for up to 600 guests per week. In winter they charter the catamaran Shangri La in the BVI, whilst in summer they sail in Croatia. For each guests they love to plan an individual adventure and vacation and they have only one goal in mind: To make this the best vacation you have ever had! No wonder that many of their guests are repeated clients that love and appreciate this professional, enthusiastic and dedicated couple. Bernd (RYA Yachtmaster Ocean) is a dedicated yacht captain and sailor since he turned 18. He sailed extensively in the Mediterranean, Caribbean, US Coast and Bahamas and he did an Atlantic crossing. Due to his former business in Croatia he has a wide local knowledge in Croatia and Dalmatia and will show you some secret places as well. 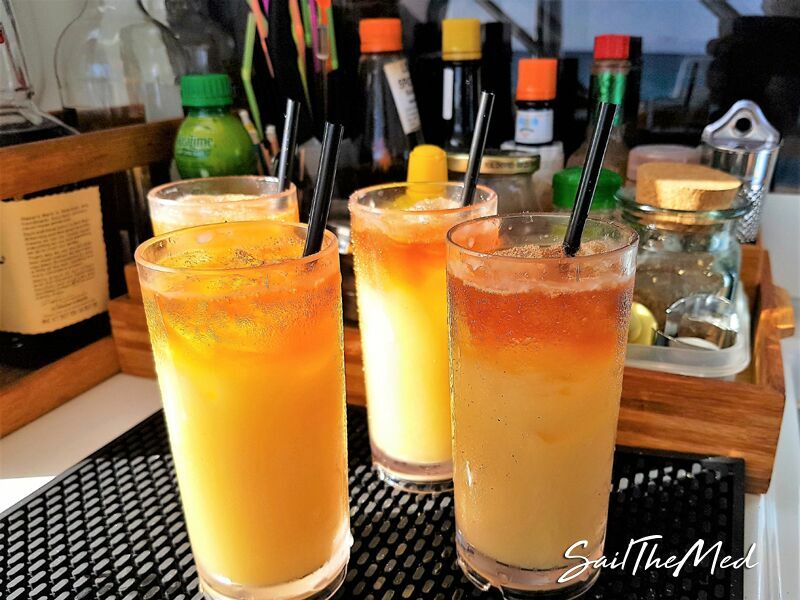 He loves to share his passion for sailing, water and nature with all guests as well as his passion of creating tasteful cocktails. Besides that he is a massive music fan and enthusiastic DJ which, as one might imagine, provides the basis for great on-board parties. Daniela, the perfect first mate and chef, loves to make her guests feel healthy and happy. Her passion and love for food and service paired with Austrian culinary training, makes her the amazing chef she is. No wonder that she won the culinary competition this year. She is energetic and enthusiastic, loves sailing, hiking, snorkeling and sports. As a former ballet dancer, she is very good with kids and makes an enthusiastic yoga and meditation teacher. This team will turn your sailing vacation to an extraordinary unforgettable lifetime experience!